Generating leads is a marketer's single most important objective. Yet, only 1 in 10 marketers say their lead generation efforts are highly efficient and effective. 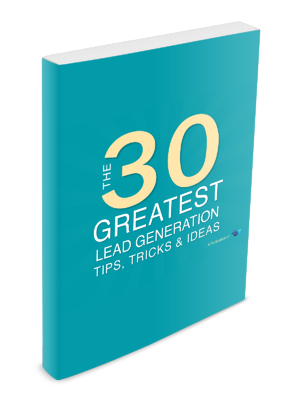 That's why we've compiled the 30 greatest lead generation lessons in this brand new eBook, so you can start reeling in those leads.